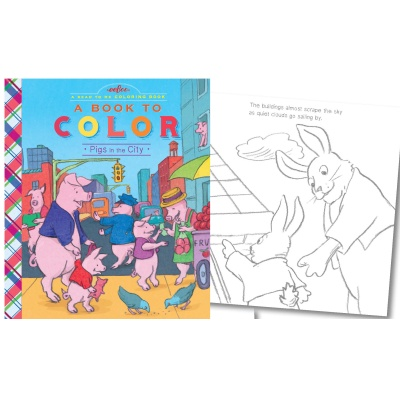 Featuring Eeboo's famous, hand created style illustrations, this gorgeous "Pigs in the City" coloring book has extra thick pages and a laminated cover. It has rhyming tales and lots of different scenes of what the pigs get up to their neighborhood. Eeboo box of crayons also available (sold separately). Dimensions: 26cm x 22cm.